Ranplan is a leading provider of innovative wireless technology, and has developed Ranplan Professional, a world-class suite of software tools for designing, planning and optimising indoor and outdoor wireless networks in coordination. It has firmly established itself as a global player in the wireless space, and its diverse range of solutions and innovations has resonated with major players in the telecommunications industry. Ranplan has enjoyed success in the Middle East over the last number of years. Telecom Review managed to secure an exclusive interview with Omar Khorshid, Director of Sales EMEA, in an effort to explore the new solutions it was showcasing at the 38th GITEX Technology Week, its position in the market in the Middle East, and what ultimately differentiates Ranplan from its competitors. Can you tell me why it is so important for Ranplan to be present and onsite at GITEX Technology Week? It’s great to be here at GITEX as it provides the perfect platform for us to meet an ecosystem of key decision makers from different markets. We see GITEX as a must-attend event as it allows us to showcase our solutions to both existing partners and potentially generate new business opportunities with prospective customers. It’s where we see what’s happening and what’s coming up over the next 12 months. How has the market responded to the new solution you’ve recently launched, has it resonated with customers? Operators, vendors and system integrators already know that Ranplan offers the world’s first tool that enables indoor and outdoor networks to be planned in coordination. The release of 5.2 back in October has generated quite a lot of interest from all corners of the globe since it is all about 5G. We have introduced a number of new features to support 5G such as 5G NR System modeling and KPI setting, 3D Beamforming in prediction and simulation, massive MIMO, mmWave, and the enhanced automatic power sharing. We’ve had a lot of positive feedback, especially on our ability to provide an all in one solution, and we are in discussions with large operators to work together side by side on various projects for 5G and HetNet planning. How important a market is the Middle East for a global brand like Ranplan, and are you happy with your current market position in the region? The Middle East is an important market for us. We believe the vast and demanding market offers opportunities for us to expand our presence and increase the number of customers we’re working with. We already work with a number of partners and hold good relationships with major operators and key system integrators, and we’re currently working on different projects to help them with their outdoor, indoor projects, and also to get ready for 5G. 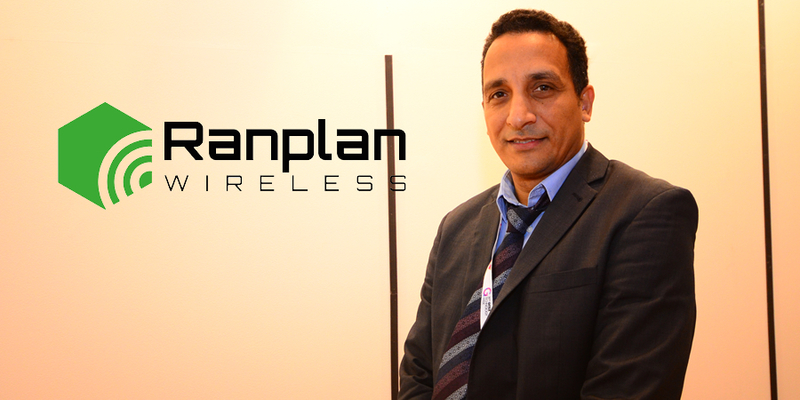 Ranplan has an array of innovative solutions and is a leader in the wireless industry. But what is it in your opinion that differentiates Ranplan from its competitors? Firstly, we’re a young company with an ambitious thirst for becoming the best in our field. Innovation is part of our DNA and we’ve got one of the best R&D departments globally. Secondly, we see our customers as partners. We’re always keen to listen to our customers, and we build our strategy around their needs and requirements, and I think this is something that really differentiates us from our competitors. Also, the capability of our enhanced solutions can be used to design and optimise heterogeneous wireless networks, supporting multiple technologies for cellular networks, public safety, IoT and smart cities. Finally, our technical support team is the best in the industry and I am very proud to be working with them. The combination of experience and expertise we have within the team for indoor & outdoor, network planning, turnkey projects execution, enables us to understand our clients and the market requirement and provide first class support. Can you tell me what your primary roles and responsibilities are in your own role as Director of Sales in the EMEA region for Ranplan? My primary role, when I was first appointed, was to build a strong team in order to strengthen and enhance our position in the EMEA region. Since then we have been able to establish a strong team to develop and sustain partnerships with significant operators and vendors in the region such as Vodafone, EE, Telenor, Ooredoo, Ericsson, and Nokia. I am also responsible for developing the sales and operations strategy for the EMEA region so that we are aligned with the overall global strategy to meet the demands of the market. Can you outline to us what your primary objectives and goals are for the next twelve months? Ranplan will continue to focus on the current Indoor/outdoor projects to support our clients. We’re looking to maintain and strengthen the partnerships we have with all our partners. The EMEA team will be expanding our sales and engineering teams, which will enable us to reach to more customers and cover more countries across Europe, Middle East and Africa.